SKU: sjs04. Category: Canvas Print. 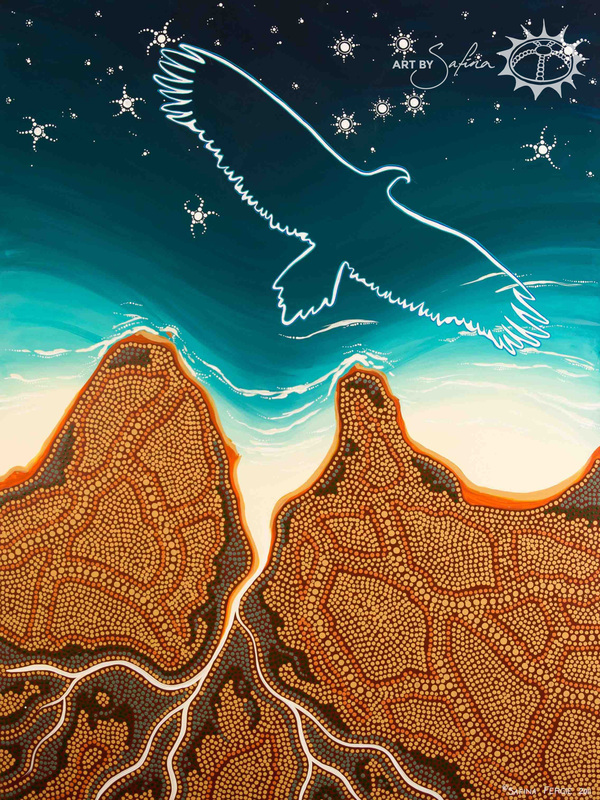 Outlined silhouette of Bunjil, the wedge tail eagle, represents the One who formed and gave life to all creation. In this vividly striking piece, the spirit of the Creator flies over the coast of Australia displaying majestic beauty and supreme power.